I had a little time to experiment yesterday and just started “playing” with the simple shapes from yesterday’s sailboat tutorial. 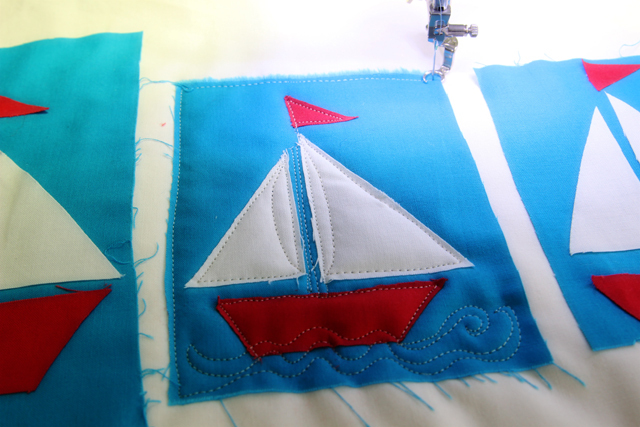 See the Sailboat free motion quilting tutorial HERE. 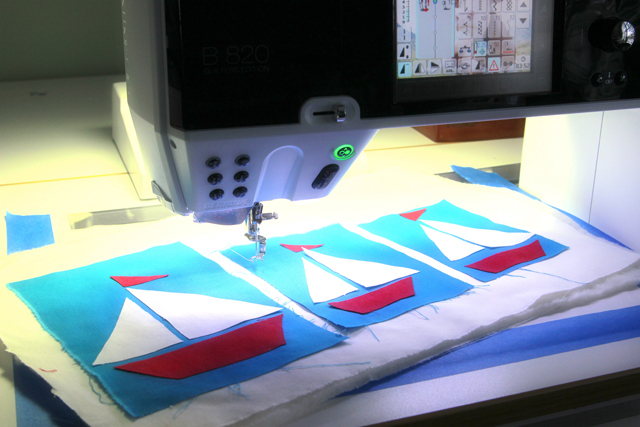 While I did iron the fabric, I didn’t bother with a ruler or rotary cutter…I just worked free hand. 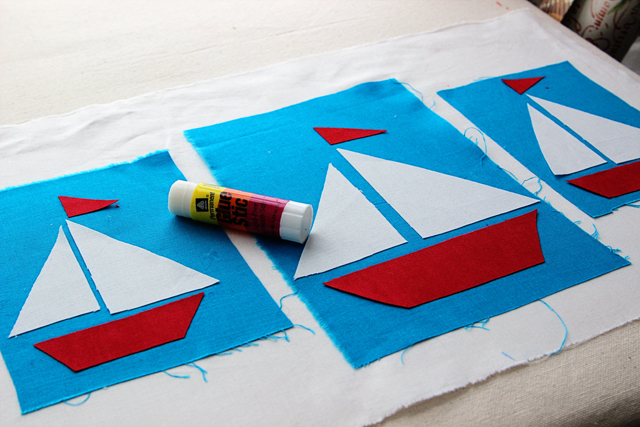 I used a glue stick to quickly adhere the shapes to the background. 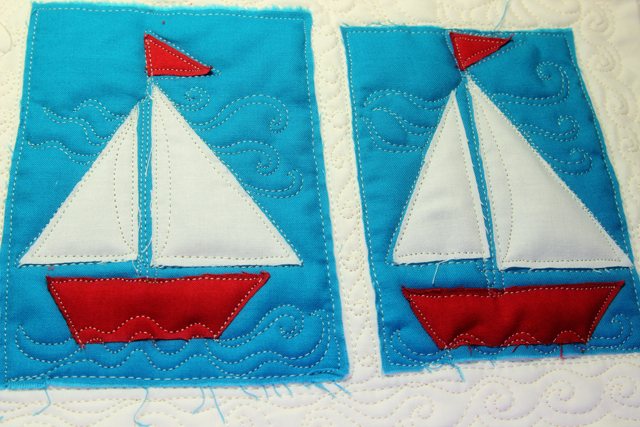 I stitched around the raw edges of each shape and background and then added more free motion quilting. I love this! 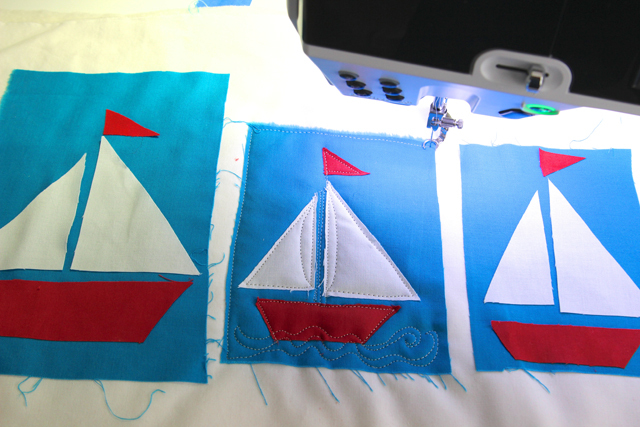 The addition of the fabric has brought this free motion quilting to life! And a quick way to complete a quilt. 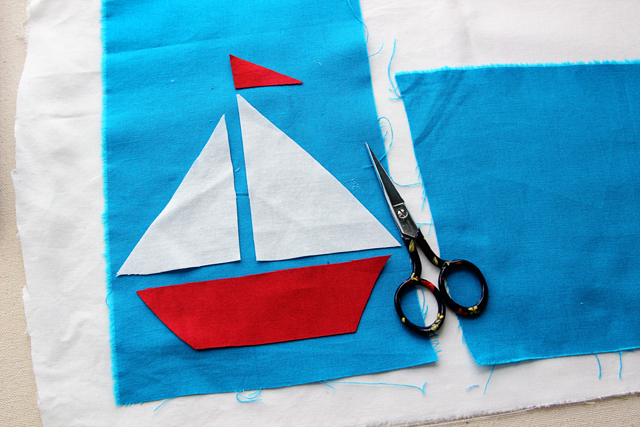 Perfect for baby and children’s quilts, and probably much more, with a little imagination. 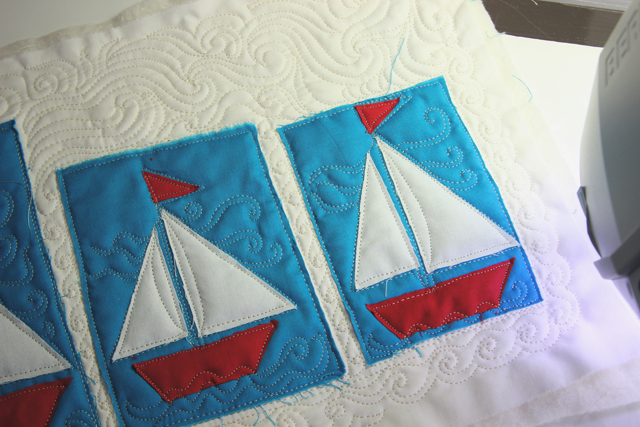 So cute – looking forward to seeing the finished quilt. I’m not sure what I will do with this experimental piece, but I love the colors and the graphic nature. Love it- very summer and refreshing. I have been using your quilt designs on a variety of projects- thank you for the design ideas! Oh so cute! Thanks for sharing!! Those turn out so cute! Very cute. I’ve just recently started doing some free motion quilting, so I’m loving all of your quilting lessons. 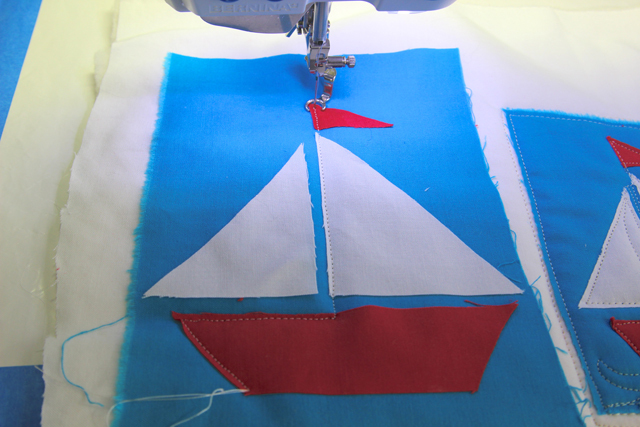 In fact, I have a quilt kit waiting for me to find time to make from Fig Tree Designs with lovely sailboats, so the sailboat quilting will be a fun addition. I’ll let you know how it goes! Lovely! Such a fun idea! Pretty. Your quilting is really lovely. Very fun! It would make up into a fun lake/beach house table runner. Love these – they are just so very sweet!